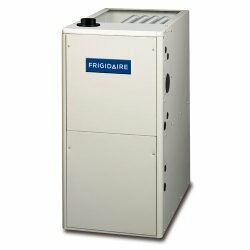 At 95.1% AFUE, the FG7TC gas furnace offers money-saving heating performance. Two-stage operation allows the unit to act like two furnaces in one � one that operates in high speed and one that operates in low speed. This way, your furnace can act at an optimal performance level for your home at any given time � increasing home comfort and helping you save money. This model goes above-and-beyond ENERGY STAR efficiency standards for a high-efficiency designation in certain sizes and matches. Work with your contractor to come up with the right indoor/outdoor system pairing for maximum efficiency.